Sri Sharada Institute of Indian Management Research, New Delhi was started in the year 1994, offers two years full time management courses. Institute is the preferred destination for students from across the country and is one of the few B-schools in India that has taken an initiative in creating a new education system. Students who have completed their graduation in any stream securing minimum 50% or appearing in the final year of their graduation from universities and institutions recognized by AICTE/UGC can apply. Students appearing in CAT / MAT / XAT / JMET / GMAT / CMAT can apply. Institute has enormous and awe-inspiring campus spread over a green land. The campus has excellent infrastructure with Wi-Fi enabled facility and learning environment that includes academic block, student’s hostel, combine mess, canteen, sports complex and well equipped library with a huge collection of books. Placements are provided to the deserving students after the completion of the course. Leading companies participate in recruiting talented students at the college campus. It provides 100% Placement Assistance and Internship. Phase-II, New Delhi, Delhi 110070. 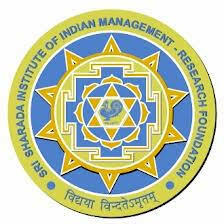 Are you Interested in Sri Sharada Institute of Indian Management Research.